We at Magic Carpet Cleaning are proud to offer the finest cleaning services in Brixton SW2 at an excellent price. If you are in Brixton SW2 and need professional cleaning services you are at the right place! Here, you will meet a team of certified cleaning experts who use the latest technologies and machines in their work and aim to fulfill your highest expectations. To make your home carpet in Brixton a nice and clean place again, do not hesitate to contact us on 0208 861 0979! We use the most innovative cleansing methods as well as the latest equipment to get the best cleaning service for you. Magic Carpet Cleaning uses products that eco-friendly and do not harm your health and the environment. Our team promises to remove all kinds of impurities from your homes and offices including old stubborn stains. Your opinion and trust is important to us, so we will work until you approve the results. One of our primary methods is the so called Steam Carpet Cleaning. It is also known as hot water extraction because it relies on hot water to remove all the dirt, dust and microbes from the treated surfaces. That’s the reason why steam cleaning is preferred by families with children who care about their health. Our team of specialists injects detergents into the rug under high temperature with the help of special equipment. After that, they are extracted from the rug along with the dirt and the germs. This method is applicable both in private homes and public buildings. One of its main advantages is that it fights one of the biggest problems of the modern world – allergies. Dry Cleaning Carpet is a fast and effective method that is best suited for business spaces. It uses 98% biodegradable substances in powder form. Our trained specialists rub them into the textile floor and then extract them by vacuum. Not only is the dry powder cleaning a fast cleaning method with immediate results but it also protects delicate materials. It extends the life of rugs since the lack of water prevents the formation of mold. And you don’t have to close your store or office and lose precious time while waiting for the floor to dry. Whatever your problem is – coffee, traces of pet urine, wine, food, chewing gum, chocolate, don’t worry. Just call the experts of Magic Carpet Cleaning. You are in good hands with them as they are highly qualified and their main aim is to satisfy your requirements. They use different kinds of preparations like acid, alkaloids and others necessary for a thorough cleaning of your houses and offices. Whether the fabrics are natural or synthetic, they won’t be a problem for us. Trust Magic Carpet Cleaning if you are in Brixton SW2, our quality is second to none! 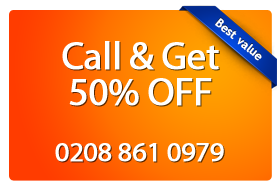 Get your free quote immediately by calling us at 0208 861 0979.